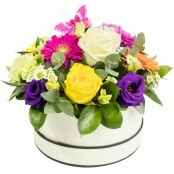 Scentsational Flowers Ltd delivers fresh beautiful flowers in Higher Denham. As an independent florist, we stock the freshest flowers direct from the best growers and flower auctions from around the world. 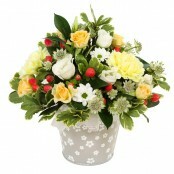 Make a great impression and arrange a stunning bouquet for same day delivery in Higher Denham. We accept Mastercard/Visa. Call us or order online. 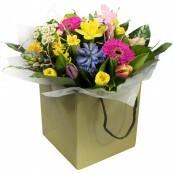 Below is a selection of flowers that can be delivered the same day in Higher Denham if ordered by 2.00pm (depending on stock levels). 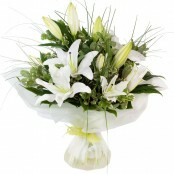 We can also deliver flowers the same day in the following areas Ickenham, Ruislip, Ruislip Gardens, North Hillingdon, Newyears Green, Willowbank, Ruislip Manor, Denham, Ruislip Common, Eastcote Village, Uxbridge, Uxbridge Moor, New Denham, Hillingdon Heath, South Harefield, South Ruislip, Hayes End, Hillingdon, Eastcote, Cowley, Northwood Hills, Denham Green, Harefield, Colham Green, Pinner, Rayners Lane, Wood End Green, Mount Pleasant, Cowley Peachy, Pinnerwood Park, South Harrow, Iver Heath, Yiewsley, Hill End, Northolt, Hayes, North Harrow, Batchworth Heath, Tatling End, Woodcock Hill, Love Green, Iver, Eastbury, Langley Corner, Hayes Town, Headstone, Roxeth, West Harrow, Greenford, Hertfordshire, Buckinghamshire, Greater London, Harrow, Wembley and many more. 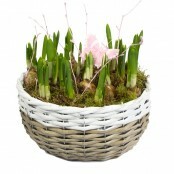 Please call us on 01895 621721 to see if we can deliver flowers in your area.